New Zealand has at least two official languages: English and Māori. The English we speak and write isn't *exactly* the same as Australian or British, Canadian or US Englishes. Māori has some resemblances, I believe to Hawai'ian, but it isn't the same. Our placenames are mostly English or Māori, or even both. I live at a place called Waikawa Beach. The Beach part is English. Waikawa translated from Māori to English is 'bitter water'. These days I'm helping a Māori organisation with their newsletter, or Pānui, and I'm learning Te Reo for myself. Autocorrect, which I usually find fairly helpful, transforms words like 'pai' to 'paint'. All the time. 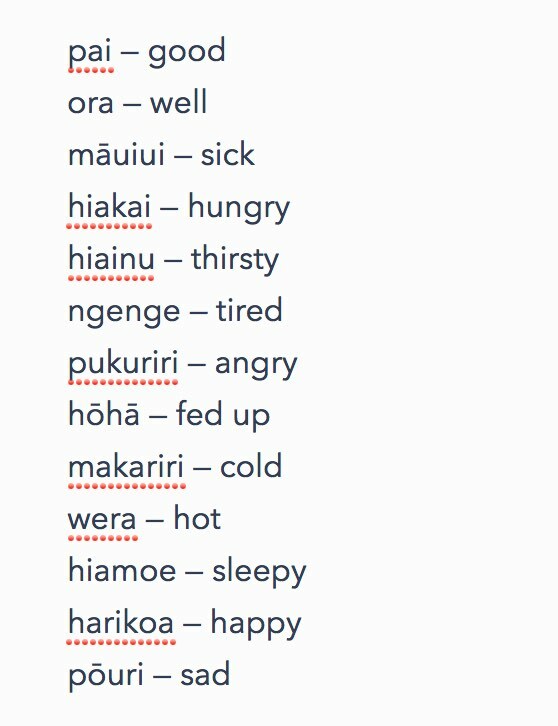 Every single Māori word gets corrected . On my Mac, my iPhone and my iPad. Talk about hōhā! It makes it almost impossible to take notes. I don't want to turn off autocorrect. 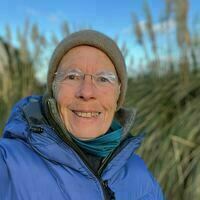 I don't want to have to teach my devices hundreds or thousands of Māori words and names. 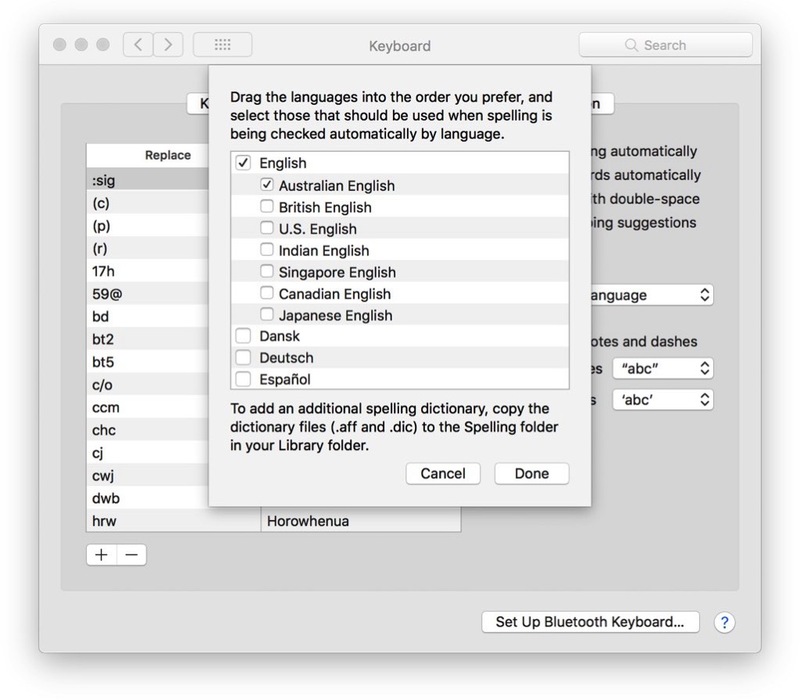 Mac spelling options, no New Zealand option. I've been using Macs for nearly 20 years now. How hard is it for Apple to make a New Zealand option under Keyboards and spellcheck etc? And I'm no linguist, but I feel that a New Zealand option like that should handle both Māori and English language words. Come on, Apple. Make a job for someone and give nearly 5 million Kiwis a better option.